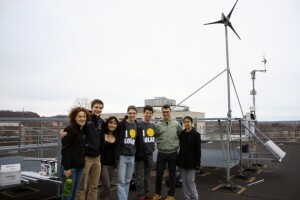 Project Bright is an initiative that aims to increase the amount of solar energy generated at Yale. How? By empowering us, the students, with the tools we need to understand and create new photovoltaic installations. To this end, we strive to learn as much as we can about solar energy and to share this with others through a series of trainings, lauded by Yalies and industry professionals alike. Through a research installation and building assessments, we are investigating the potential of various solar technologies for Yale’s campus, combining this with considerations of economic implications. To learn more, check out our “Get Involved” tab, or contact us (tess.maggio@yale.edu) to just get involved! To get an idea of our hands-on projects, check out this article about our installation on Kline Geology Lab! Copyright © 2013. Project Bright. All Rights Reserved.